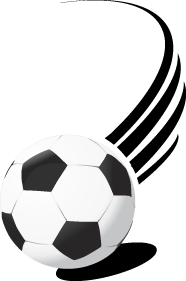 Nevada Alliance Soccer League (Alliance), formerly known as Sagebrush Youth Soccer League is the longest standing youth, recreational and developmental soccer league in Southern Nevada. Established in 1966, Alliance's mission is to provide a fun athletic atmosphere to the Youth in Southern Nevada through the sport of soccer. It is NASL's strong belief that all young players should be given the opportunity to develop basic soccer fundamentals both as an individual and as a team member. Alliance is a non-profit recreational and developmental youth soccer league designed to encourage great sportsmanship in every facet of competition. The League is dedicated to facilitating the growth of youth soccer at a grass roots level by providing a fun and challenging environment with emphasis on team work. League play will be offered at various locations throughout Southern Nevada. Joining the Nevada Alliance Soccer League is a positive outlet for your kid to maintain an active lifestyle. All boys and girls ages 4 to 14 in Southern Nevada are invited to joins us for our annual Fall and Spring Seasons. Sibling Discount = Receive $5 OFF Per Sibling When You Sign-up 2 Or More. Players may play up a division. But, may not play down. Players are assigned to age division based on their date of birth. Alliance has 2 different divisions within each age group, recreational and developmental. Each player, coach and/or team chooses which division they would like to play in during the registration process. Although Alliance would love to provide a great place for every player. Unfortunately, we are not currently accepting elite-level club teams. Please contact us via email if you would like to discuss your team’s skill level. Recreational: Our recreational division is designated for players and coaches at the beginner up to intermediate level. This division will be made up of newly formed teams and individual players that are looking to have fun and learn the fundamentals of the game. Developmental: Our developmental division is designated for players and coaches at the intermediate level. This division will be made up of teams that have played together in the past, are entry-level club teams, and for individual players looking for a more competitive atmosphere. Teams and players in this division are typically looking to progress their team and individual skills in order to advance to the next level of the game. © 2015 Nevada Alliance Soccer League. All Rights Reserved. All images are owned by NASL. Any use of these images without permission is prohibited.